Hi everyone! How did you like Valentines event? My laptop just broke down, but here is the release! 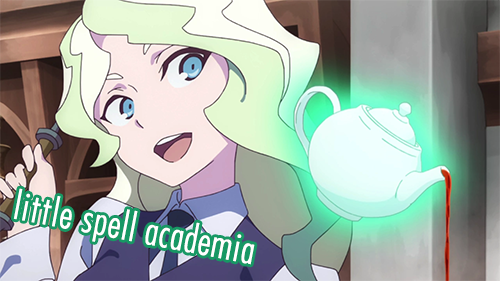 Please keep in mind that any corrections, including uploading the missing Bungou to Alchemist decks might be delayed because of it. For today's freebie you can take any three cards that are in the same color but different decks. That's all for today, see you next month! Previous release is still open for claiming for 48h! The new week will start on Sunday, April 28, 2019, and this round will close on Sunday, May 5, 2019. Last week's answer was Kyouhei Takano, Ranmaru Morii, Takenaga Oda, and Yukinojo Toyama from The Wallflower, voiced by Shoutarou Morikubo, Hirofumi Nojima, Tomokazu Sugita, and Yuuya Yamauchi respectively! Hello everyone, and welcome back to Seiyuu Guess! Our host for this game is Shizuka, a rookie seiyuu who's still learning the tricks of the trade! She's been provided with a description, image, and clip of a certain character, and it's up to you to help her figure out who voices them. Tell Shizuka the character's name, their seiyuu, and what series they're from for six random cards! This round ends Sunday, April 28, 2019. I am an idiot who didn't screen last round so here it goes once more! Colette is known for her love of dogs. She especially loves to come up with names for them! However, after naming all the dogs across Sylvarant and Tethe'alla there wasn't much left for her to do so she's going to come up with deck names now. Help her name all the decks across Colors TCG? With every round, there will be a picture of a character who has a deck on Colors. Tell Colette what their deckname is to be rewarded with 6 random special cards! 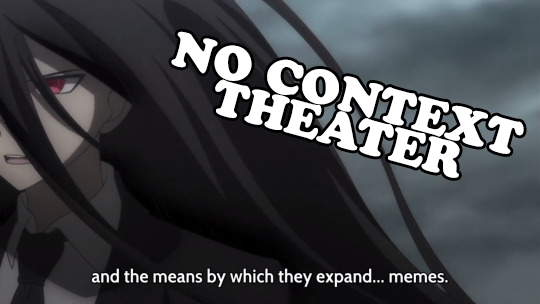 Some of you might know Kamukura as the guy who was really into boats back in the day. Rumor has it he likes memes now. He's been trying to get into anime lately but sometimes he stumbles upon something that's hard to comprehend even with his numerous talents. Come up with a possible explanation for the situation in the screencap! It can be anything and as silly or serious as you wish. 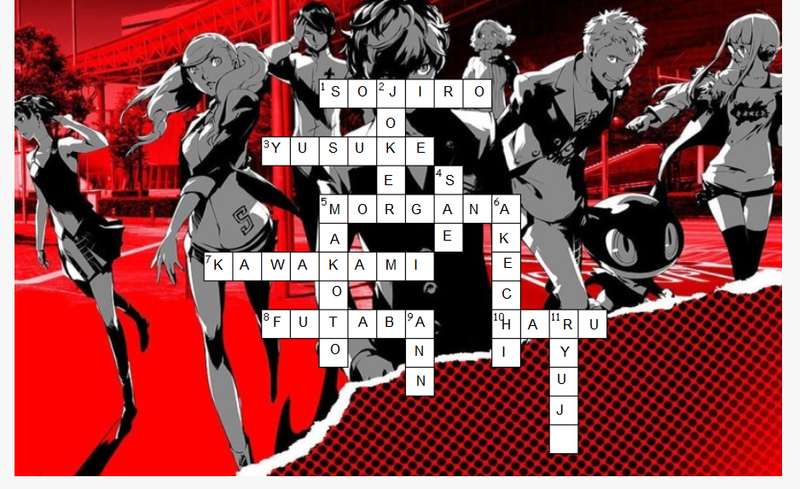 Don't worry if you're unfamiliar with the series, the purpose of the game is not to guess what actually happened there! Same if you are familiar with the context - pretend that you aren't and make up something on your own! 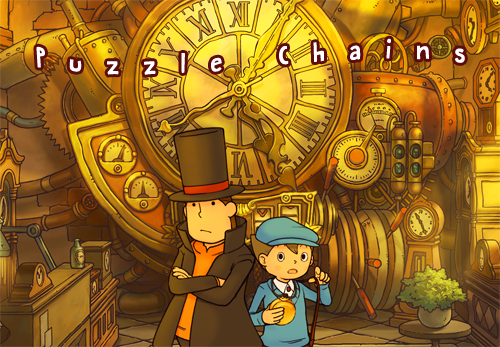 Professor Layton said that a gentleman never leaves a puzzle unsolved. As he's a connoisseur of puzzles, he always appreciates a challenge when it comes to solving them! Now, he and his apprentice, Luke, need your help in solving these series of puzzles in order to close the case that he's on! *Sorry I been super ill the past few days, because of this im doing just one puzzle, but keeping the 12 card prize! - Follow the link to access the puzzle, and complete the image by dragging the pieces in place. Right-click to rotate the pieces, and feel free to use the ghost icon to see what the finished image looks like. - PLEASE LINK YOUR ANSWERS! - For completing the puzzle, you will receive 12 random cards! This round closes on Tuesday, April 23rd! Welcome to Booster Bundle! Come on in! Looking for a new booster pack? ....You know, those bags of cards that the kids are crazy for. Inside each booster is 7 Cards, with at least 1 Holographic... I guess you guys call them Special cards. But dont worry, You can pick any pack you want! At the moment this is my stock.. Sometimes we get in other packs in, so stock might change every week. Depending on what pack you get also depends on the type of cards you get as well! This round will end Wednesday, April 24th. Thanks for all your help last time! The color I was looking for was Gray/Red (stage deck)! "A dead girl and A dead cat?! Oh no, I think I'm having Dejavu!!" If you can, I will sniff 6 cards out for you and bring them back! This round will end Monday, April 22nd. It's a new week, which means donation limits have been reset at Coloring Book! Let's fill up some buckets! Last week's answer was Ginko from Mushishi, voiced by Yuto Nakano! Tell Shizuka all four characters' names, all four of their seiyuu, and what series they're from for eighteen random cards and a random crayon! This round ends Sunday, April 21, 2019. Last round's answer is Caliber! For answering, you'll get 5 new release cards. Every answer is correct and feel free to comment on other people's answers! This round is open till Sunday, April 21st CLOSED NOW! Last week's song was Pursuit ~ Cornered from Phoenix Wright: Ace Attorney, composed by Masakazu Sugimori. Congrats to Jun for winning the bonus crayon lottery! Hiyaaa! Ibuki has some really cool songs for you to listen, so enjoy! Unfortunately the mods didn't let Ibuki perform her own songs but hey, covers are nice too! The stage is ready so LET'S GOOOO! This round closes on April 27th, Central European Time. The Host Club is looking to gain some new customers, so they're passing out free cards! Comment here to give them your patronage and receive six random cards. Good luck! This round ends April 25th, 2019. This round will end Wednesday, April 17th. This round closes on Tuesday, April 16th! Thanks for all your help last time! The color I was looking for was Gray (thefool08)! "There sure are alot of girls here today! They keep talking about their dreams.. I wonder what dreams they must have.."
Can you tell me colors of this card so I can help Miss Kamila? If you can, I will sniff 12 cards out for you and bring them back! This round will end Monday, April 15th.